State Auditor Nicole Galloway is praising a court decision clearing her office of wrongdoing. Cole County Circuit Judge Jon Beetem issued a 24-page ruling Monday stating Galloway’s office did not violate the state’s Sunshine Law. 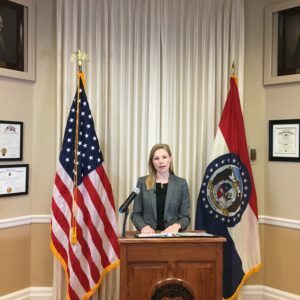 Missouri Alliance for Freedom brought a lawsuit against the Auditor’s Office claiming non-compliance with the law based on three public records requests that were sent in May 2017. The organization had sought all records of communications of Galloway for her entire term of office. Judge Beetem based his decision on testimony from a cellular phone forensics expert, who said Apple iPhones used by the office don’t store text message files and actively attempt to prevent users from gaining access to such data. Beetem determined that because the form of the records requested did not exist, the Auditor’s Office did not violate the Sunshine Law by failing to produce them. “The Court concludes that there has been no loss of any public record[s] which are the subject matter of the civil action,” said Beetem. Missouri Alliance for Freedom is a non-profit in a classification in which it doesn’t have to report its donors. It’s affiliated with the GOP as is the Kansas City-based law firm, Graves-Garrett, that it hired to bring its case. The law firm is headed by Todd Graves, who is chairman of the Missouri Republican Party. The non-profit filed the lawsuit after Galloway conducted an audit critical of the state Revenue Department’s late delivery of tax refund checks to residents, a problem that has since been corrected. Galloway said her office had voluntarily provided more than 45,000 pages in documents to Missouri Alliance for Freedom at no charge. The non-profit had asked Judge Beetem to impose a $5,000 civil fine on Auditor Galloway’s office and direct the office to cover Graves-Garrett’s attorney fees. Beetem ordered the Missouri Alliance to pay costs and further exonerated Galloway’s office. “This Court finds in favor of Defendant State Auditor Nicole Galloway on all claims asserted by Plaintiff Missouri Alliance for Freedom,” Beetem wrote. Missourinet was unable to reach Missouri Alliance for Freedom or the Graves-Garrett law firm for comment. Top Stories: A St. Louis police officer who allegedly killed a fellow officer last week as they took turns firing a revolver containing a single bullet was booked into jail and released yesterday. Nathaniel Hendren is charged with involuntary manslaughter. And a man turned himself in and was arrested yesterday for a double shooting that took place Sunday night in mid-Missouri’s Boone County. 34-year-old Michael Stapleton is accused in the shooting in which one person remains in a hospital. Missouri is one of six states with measures filed this year to incorporate bible study classes into public high schools’ curriculums. USA Today reported that the legislation in all the states is being coordinated by an organization called Project Blitz, which is made up of conservative Christian political groups. It has a 100-page plus playbook detailing language to be included in the legislative measures. In Missouri, Republican Senator Ed Emery of Lamar and GOP House member Curtis Trent of Springfield have identical concurrent resolutions to encourages public high schools to offer an elective course on the Bible and require all world literature courses to incorporate the bible. The resolutions declare the courses are intended to teach bible content necessary to understanding contemporary society and culture. The measures are opposed by groups like the American Civil Liberties Union that contend they’re an infringement on the separation of church and state. A clause in the First Amendment of the Constitution states “Congress shall make no law respecting an establishment of religion.” According to USA Today’s reporting, lawmakers who support the proposals contend it’s possible to teach the Bible in accordance with the Constitution. The other states offering bible study legislation this year are Florida, Indiana, North Dakota, Virginia, and West Virginia. Kentucky was the first state to pass such a bill into law in 2017. Monday morning, “Fox & Friends” on the Fox News Channel interviewed North Dakota Republican House member Aaron McWilliams, who co-sponsored a bill to allow Bible classes in public schools in his state. President Trump is a consistent viewer of the conservative-leaning news outlet that largely endorses his agenda. A recent poll shows the President’s approval rating slipping among white evangelical Christians, who have been some of his most loyal backers. Missouri’s just announced $532 million dollar budget deficit has state lawmakers wondering what happened and wanting answers. The Department of Revenue sprung the massive figure on the public in a House Budget hearing Wednesday. The agency’s monthly report for December, which came out January 4 pegged the shortfall at $130 million, and state Budget Director Dan Haug indicated the deficit was much the same January 16 during a briefing before Governor Parson’s State of the State address. That means an additional $400 million hole has materialized in roughly a week. Newly elected Republican Senate Majority Floor Leader Caleb Rowden of Columbia thinks the revenue agency must be held responsible for any shortcomings in its performance. “If there were issues in how it was handled, the process in which we got to the place that we are now, somebody needs to be held accountable for that,” said Rowden. The budget shortfall has been linked to an under collection of state income taxes after the federal tax overhaul passed by Congres took hold last January. The Revenue Department announced in September that it incorrectly analyzed how state collections would be affected by federal changes. Missouri bases its tax structure on the federal system. Congress doubled the standard deduction and eliminated the personal exemption. The Revenue Department also admitted in September that the unexpected decrease in withholding was due to a longstanding inaccurate calculation of the federal tax deduction that had gone undetected until last year’s federal changes amplified the error. As a result of the mistakes, the Department announced it had reworked the tax tables in September to collect more from individual paychecks. But making the adjustment so late in the year means taxpayers will have to make up for the under collection on the yearly returns they file. The ballooning deficit has increased fears that filers will be acutely impacted. Those who typically receive a big refund could see it massively shrink or could find themselves in debt to the government while others might owe large sums of money. Walsh and Rowden disagree on how to assist low-income filers who may be hit with unexpected liability on their returns. Democrat House Minority Leader Crystal Quade of Springfield and Senate Democrat John Rizzo of Kansas City have identical bills to provide relief to taxpayers who owe less than $200. The deadline for those filers to submit their returns would be extended from April 15th to June 15th. The bills would also provide for a four-month interest-free plan for those who have difficulty paying the bill. Those filers would have a deadline of October 15th. Senator Rowden says the legislation isn’t necessary because the Department of Revenue already offers payment plans for more than 10,000 filers who need the assistance. Walsh doesn’t think the state can be trusted to provide relief for taxpayers, noting she saw major mistakes made by the Revenue Department as a former member of the budget committee. Rowden says he’s concerned the legislation would be expensive to implement. An estimate from Department of Revenue Director Joe Walters pegs the cost at between $9 million and $28 million extending into the next fiscal year. Walsh contends the money would be wisely spent, given the size of the current deficit. State Budget Director Dan Haug cautions that the $532 million deficit may be inflated by events that took place a year ago. Before the Congressional budget overhaul took hold in January, Haug said many filers who pay quarterly did so in late December to take advantage of deductions that were about to be eliminated. He noted tax collections significantly spiked last January because of the phenomenon. With the personal exemption now done away with, Missouri taxpayers will want to rethink their filing strategy. Those claiming the most dependents will now owe the least amount of money on their returns while filers who claim “0” will have a liability. Top Stories: Bitterly cold conditions are expected Tuesday night through Thursday with temperatures below zero in mid and northern Missouri and wind chills of minus 15 to minus 35. No precipitation is expected during the cold spell. And a Highway Patrol K9 is getting credit for a drug bust on I-70 in mid-Missouri’s Cooper County over the weekend. Troopers arrested Zechariah Heryford from the state of California after the dog sniffed out 115 pounds of marijuana in his car. Even though a federal judge in Texas struck down the Affordable Care Act late last year, Medicaid expansion could be a Missouri legislative session issue that gets more attention than in the past. The reason for an uptick in interest, if it’s to come, would likely be connected to November election results in which voters in three Republican-leaning states, including to one adjacent to Missouri, passed the expansion which is part of the health care law. Only three of the eight surrounding states will have failed to expand Medicaid to cover able-bodied low-income people between 19 and 64 years old who earn up to 138% of the poverty level. Democratic Senator Scott Sifton of Affton, who has submitted Medicaid expansion bills in the past, filed a measure this year to send the issue before Missouri voters. He believes the Republican supermajority in the legislature that has rejected enlarging the federal healthcare program in the past can be persuaded into embracing a ballot measure. Fellow Democratic Senator Jill Schupp of Creve Coeur files Medicaid expansion bills on a yearly basis. She also filed a measure in December which would require voters to weigh in on the subject. Both the Sifton and Schupp proposals would place the issue on the ballot in November 2020. Sifton is unfazed by the federal judge’s decision in Texas to overturn the Affordable Care Act, noting his ruling stands in conflict with previous Supreme Court renderings supporting the law. 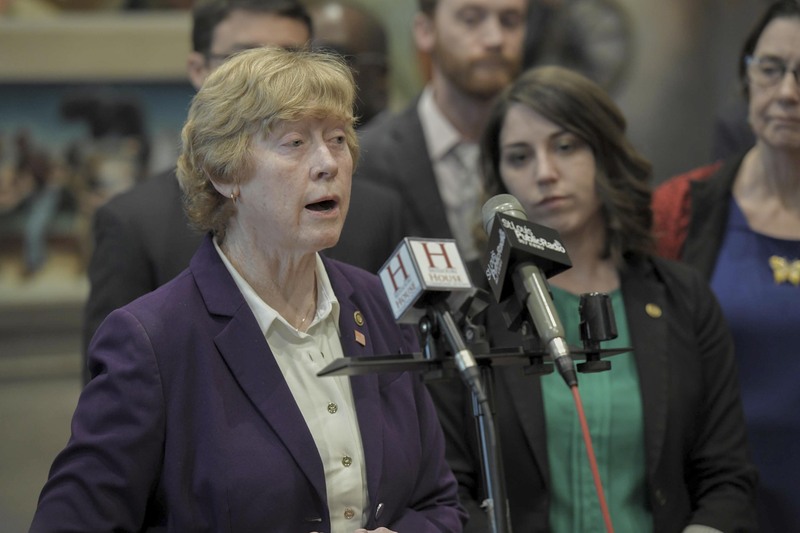 House Democrat Deb Lavender filed two Medicaid bills for this session, one to move through the legislative process and the other to bring expansion to the ballot. 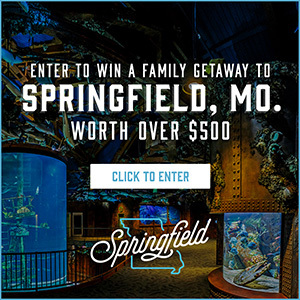 But she’s not expecting Republicans to allow the electorate to weigh in on the issue, especially after voters resoundingly rejected one of the majority party’s long-held priorities in August – making Missouri a right to work state. “The legislature is not looking to put these things in front of our people I think for fear it will pass,” Lavender. Still, the physical therapist and owner of an outpatient Physical Therapy clinic believes Medicaid expansion supporters in the legislature are becoming increasingly emboldened, especially since her first term as a state lawmaker in 2014. “You could not use the term Medicaid expansion on the floor that everybody didn’t take a deep breath and say ‘Oh my goodness, somebody just almost said a cuss word on the floor’, that it was such a hot potato,” Lavender said. The representative from Kirkwood isn’t changing her approach to legislation based on the recent federal court decision, contending the judge in the case, Reed O’Connor, was biased against the law and would be overruled. Lavender attempted to attach an amendment to expand Medicaid to a bill during a special session of the legislature last year. The legislation to broaden the use of treatment courts as an alternative to criminal charges for certain offenders included language pertaining to Medicaid. But Lavender’s amendment was deemed out of order and rejected as not being in the scope of the governor’s call for a special session which was specific as it related to treatment courts. Three Democratic House members filed Medicaid expansion bills in the last legislative session. One from Peter Meredith of St. Louis would have sent the issue before voters. One by Gina Mitten of St. Louis called on lawmakers to pass a bill. A third one from Michael Butler of St. Louis also required lawmaker approval but, in addition, included a provision for adult Medicaid recipients not enrolled in Medicare to receive the same health care insurance as state employees. The Butler proposal further included language favored by Republicans calling for the state to seek a waiver to deviate from federal government requirements. GOP Senator David Sater of Cassville has submitted legislation for such waivers in the past to apply to the existing Medicaid structure in Missouri. In December, Sater pre-filed two measures relating to Medicaid. One would seek a waiver to allow for work requirements for most adult recipients under 65 years old. The other would apply for a work requirement waiver as well as the ability to charge enrollees for co-payments and premiums. House Republican Curtis Trent of Springfield sponsored a bill last year and pre-filed a measure in December also calling for the state to seek a waiver to place work requirements on recipients. Medicaid expansion was a component of the Affordable Care Act (ACA) passed by Congress during the Obama administration but was stripped away by the Supreme Court in 2012. The high bench upheld the constitutionality of the ACA’s individual mandate, which required most people to maintain health insurance coverage, but found the Medicaid expansion portion too intrusive on states. Since that time, states have increasingly chosen to expand the federal healthcare program on their own as the Supreme Court decision left the option open. The number of states opting in grew from 33 to 36 plus the District of Columbia in the recent general election when voters in Nebraska, Utah, and Idaho, three red states, passed ballot measures to implement the expansion. Kansas, Oklahoma, and Tennessee are the only holdouts among the eight states that border Missouri, and Kansas could be changing soon if history replays itself. If Kansas follows through on Kelly’s pledge, Missouri and 12 other states, mostly in the south, would become more pronounced outliers. Republican lawmakers in Missouri contend the expense of Medicaid expansion would be far too costly for the state. If implemented, expansion in Missouri would carry a $2 billion price tag with 90% of the cost covered by the federal government. At 10%, Missouri would have to chip in $200 million annually. FamiliesUSA estimates that 293,000 people would be newly eligible for coverage if the state were to expand the program. Senator Sifton contends money is being lost by employers and the state without Medicaid expansion. In addition to filing two Medicaid expansion bills, Representative Lavender submitted a measure she claims would finance the cost of enlarging the federal program. It would take advantage of a Supreme Court decision in June that opened the door for states to start taxing internet sales from out of state companies. 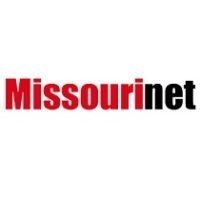 “Missouri is not set up or established to collect that internet sales tax on purchases made from Missourians,” Lavender said. Her proposal would call on out-of-state sellers with no physical presence in Missouri to collect and tax money to the state. The Supreme Court ruling did away with a more than 25-year-old law prohibiting such taxes from interstate purchases unless the seller has a physical presence in a state, like a warehouse or an office. Senator Sifton remains convinced that Republicans, who control the legislature, will have a hard time denying a public vote on Medicaid expansion. “It’s a bipartisan idea whose time has come, and Missouri voters ought to have the opportunity to weigh in on whether they want Medicaid expansion for their state,” said Sifton. Top Stories: A 19-year-old junior at the University of Missouri in Columbia died Tuesday in his dorm room on campus. A cause of death has not been determined. Counselors have been provided for those who knew Boston Perry of Bethalto, Illinois. And Federal regulators have opened an investigation of a worksite death in Sunrise Beach on Lake of the Ozarks. A 41-year-old man was killed the day before at a Sunrise Beach condominium when he fell about 60 feet from a balcony. The Missouri Supreme Court in Jefferson City heard arguments Wednesday on whether to stiffen penalties for assistant St. Louis Circuit Attorneys involved in the 2014 cover up an illegal police assault in the city. The action has been brought by the Office of Chief Disciplinary Counsel which was established by the Supreme Court to investigate allegations of misconduct by lawyers. Chief Disciplinary Counsel Alan Pratzel and Deputy Chief Sam Phillips have rejected recommendations by a hearing panel of two attorneys and a layperson to reprimand, but not further penalize two of the assistant circuit attorneys. Those attorneys, Ambry Schuessler and Katherine Dierdorf, admitted to withholding their knowledge of a police detective’s beating of a suspect and of a fellow Assistant Circuit Attorney’s filing of false charges against the suspect. Assistant Circuit Attorney Bliss Worrell, who was a close friend of Detective Thomas Carroll, filed trumped-up charges of attempted escape against the suspect, Michael Waller, in an attempt to cover up Carroll’s assault of him. Waller was accused of breaking into the car of Carroll’s daughter and was found with her stolen credit card. The Disciplinary Counsel’s office is seeking to have Schuessler and Dierdorf suspended from practicing law – Diedorf for three years and Schuessler for two years – for ethical violations and impeding the criminal investigation of Detective Carroll’s assault. Carroll received a 52-month prison sentence in federal court for his actions. Worrell was given 18 months probation and was disbarred by the Missouri Supreme Court. According to court documents, as Assistant Circuit Attorneys in St. Louis in 2014, Schuessler, Dierdorf, and Worrell had become friends and spent time mingling with each other. That afternoon, Worrell filed the false charges against suspect Waller. The next day, Schuessler found out about the charges and accompanied another assistant circuit attorney to inform supervisors of Worrell’s activity. 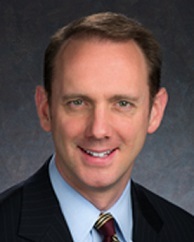 But according to court documents filed by the Disciplinary Counsel’s office, Schuessler didn’t fully disclose her knowledge of Detective Carroll’s assault to her supervisors or to the police department’s Internal Affairs division in the following days, but only did so the next month in an initial interview with the FBI and assistant United States Attorney, Hal Goldsmith, who had launched a federal investigation at the request of St. Louis Circuit Attorney Jennifer Joyce. The Disciplinary Counsel’s court filing also contends Schuessler only told the full truth and admitted to making the “joke” in reference to Detective Carroll sticking the gun in suspect Waller’s mouth during a second interview with Goldsmith and the FBI. In her first meeting with the federal officials, she said Carroll made the joke. The court filing says Schuessler’s joke is an arguably racist and homophobic slur about the suspect, which constitutes professional misconduct under Missouri Supreme Court Rules. During Wednesday’s hearing before the Supreme Court, Chief Disciplinary Counsel Special Representative Marc Rapp said Schuessler’s joke raises questions about her ability to prosecute hate crimes. “How can we be sure that she’s going to objectively consider race and sexual orientation in making her official charging duties,” Lapp said. He claimed Schuessler’s dishonesty interfered with the criminal investigation of Detective Carroll and jeopardized his prosecution. Rapp said the fact that she lied on three occasions regarding the use of a gun damaged her credibility during the sentencing phase of Detective Carroll’s trial. Court documents filed on behalf of Schuessler state that she was consistent in her description of Carroll’s assault on the suspect, including Carroll’s use of a gun during the assault, and that she was not representing a client when she made her “flippant, bad” joke. Those documents also contend her joke is not subject to regulation, a statement in line with the recommendations of the three-person hearing panel. Before the judges Wednesday, attorney Justin Gelfand said Schuessler quickly acted as a whistleblower on the assault of a suspect by law enforcement and on prosecutorial misconduct. “Charges were dropped against an innocent man for a crime he did not commit, and a detective was found guilty and sentenced to federal prison for a serious and horrible crime that he did commit,” said Gelfand. Excluding the ill-advised joke, the Disciplinary Counsel has made similar complaints about the conduct of Dierdorf as it has about Schuessler but additionally contends Dierdorf failed to admit when she had full knowledge of the assault and attempted coverup until several weeks after Schuessler had confessed. Assistant U.S. Attorney Goldsmith concluded in his investigation that Dierdorf “time-shifted,” by making it appear that both she and Worrell did not know about Detective Carroll’s assault until two days after the fact, which would actually be a day after Worrell issued the false charges. Goldsmith said that action impeded his investigation. The Disciplinary Counsel’s court documents further differentiate between the conduct of Schuessler and Dierdorf, stating that after initially not disclosing Worrell’s false charges to supervisors, Dierdorf instructed Schuessler to also keep quiet. Before the Supreme Court judges Wednesday, Chief Disciplinary Counsel Alan Pratzel said Dierdorf’s actions are inexcusable. “To me, it’s the height of misconduct too, in that position of being a prosecutor to lie, to cover up for another prosecutor’s illegal criminal conduct,” said Pratzel. The Disciplinary Counsel contends Dierdorf ended up lying out of an irresponsible and dangerous sense of loyalty to her friend, Worrell. Conversely, court documents filed on behalf of Dierdorf say evidence directly contradicts the Disciplinary Counsel’s contention that she instructed Ms. Schuessler to lie, or that she herself lied to federal investigators. The documents contend Dierdorf made efforts to reach her supervisors, correct her prior omissions, and make a full disclosure, both at meetings and through voicemail during the week of the assault and attempted coverup, and the following week. The documents noted she was finally able to make a full disclosure to the FBI and the assistant U.S. Attorney weeks later. The Court documents supporting Dierdorf acknowledge that during two interviews, she held back or changed certain facts to avoid implying her friend Ms. Worrell had filed criminal charges. Both Dierdorf and Schuessler claim to have suffered after losing their jobs at the St. Louis Circuit Attorney’s Office. Both contend that they had no prior discipline and no disciplinary issues since. Schuessler now works for a Clayton law firm, and Dierdorf is a public defender in Denver, Colorado. Arguing on behalf of Dierdorf before the Supreme Court Wednesday, Attorney Michael Downey noted she applied to be a public defender before accepting a position in the Circuit Attorney’s Office. “It’s very clear that she only went to work at the Circuit Attorney’s Office because she couldn’t get a job as a public defender,” said Downey. Dierdorf further claims her involvement in the matter resulted in hostile media coverage as she is the daughter of former St. Louis Cardinal football player, Football Hall of Fame Inductee, and sports announcer Dan Dierdorf. After hearing arguments Wednesday, the Supreme Court could issue decisions at any time on whether further disciplinary action will be taken against Dierdorf and Schuessler. Far and away the most contentious and publicly contested component in the Amendment 1 Clean Missouri ballot measure passed by voters in November is its overhaul of the way voting districts are drawn up. Most Democrats supported the proposal, with the exception of some members of the Legislative Black Caucus, while most members of the GOP, including the Missouri Republican Party, solidified opposition to it. Its supporters claimed it would prevent either party from gaining an unfair advantage while opponents contended it favored Democrats. Republican Governor Mike Parson told the Associated Press that he wants Amendment 1 repealed over its redistricting portion. But lawmakers started to pay attention to another section of the measure after it passed, the portion that affected them directly on a day-to-day basis. As written, Amendment 1 subjects records of official activities of the House and Senate, their committees as well as individual lawmakers and their staffs to the state’s “Sunshine Law” that requires openness in government. Every lawmaker is now a custodian of records who is responsible for responding to public records requests for documents and information from their office. That means 34 Senators and 163 Representatives are the keepers of records for themselves and their staffs. The Chief Clerk of the House and Secretary of the Senate are custodians for records pertaining to each chamber. Dana Rademan Millier has been Chief Clerk of the Missouri House since late October. She says a major priority is establishing guidelines for lawmakers, who as custodians of records, will have to establish their own retention policies for documents such as emails. “I think it’s important that they have options available and some best practices because they’re really going to need to have some sort of retention policies, based on the new constitutional provisions that were enacted,” said Rademan Millier. She said she’s been meeting with the secretary of state’s office to get assistance in establishing standards to comply with the Sunshine Law. Rademan Miller stated that the secretary’s office told her that lawmakers probably aren’t destroying information such as email too quickly, but are likely retaining it longer than needed in order to reference the data it contains. Chapter 610 in Missouri law is the foundation of the Sunshine Law. It includes 24 provisions in which records can be closed to the public. They include instances such as welfare cases and mental or physical health proceedings involving identifiable persons as well as individually identifiable personnel records. Rademan Miller thinks the wording of Chapter 610 is open to interpretation and will need to be resolved through a legal or legislative process. “The courts at some point maybe have to sort it out unless the legislature decides to act and amend the law and try to clarify some provisions which they may do,” said Rademan Miller. She noted that although Amendment 1 is a constitutional amendment, it places lawmakers under a statute, the Sunshine Law, which can be revised. Missouri’s Sunshine Law dates back to 1973 following the passage of the Freedom of Information Act in 1966 by the U.S. Congress. Some state lawmakers are weighing in with concerns, including Republican Representative Nick Schroer of O’Fallon, who thinks some media sources could expose confidential emails because of Amendment 1. Republican Representative Jean Evans of Manchester says Amendment 1 wrote out any exemptions to public disclosure. Other components of Amendment 1 Clean Missouri that apply to state lawmakers include a requirement that they wait two years before becoming lobbyists. The measure also eliminates lobbyist gifts of more than $5 to lawmakers and limits campaign donations to $2,500 for Senate candidates and $2,000 to House candidates. It further bars fundraising activity in any building or property owned by the state. The provision calling for a two-year waiting period before becoming lobbyists led to early resignations by several lawmakers before Amendment 1 went into effect in early December. Among them was Democratic Senator Jake Hummel of St. Louis. Hummel lost his primary for reelection and would have exited the legislature in January anyway. But as the Missouri AFL-CIO’s secretary-treasurer, he said he wanted to be sure he would be able to file as a lobbyist if he was called on to do so. Missouri voters resoundingly approved Amendment 1 by a 62%-to-38% margin. Top Stories: A 26-year-old mid-Missouri woman who intentionally drove her car into the Kansas River with her two children was sentenced to life in prison yesterday. Scharron Dingledine’s five-year-old daughter drowned in the incident. The University of Missouri says enrollment at its flagship campus in Columbia is on track with expectations. Enrollment for the first day of spring semester classes is 27,600, down roughly 2,000 from the fall.